fascinatingfoodworld: Food mania in Bangkok! Its a beautiful morning and I can see pigeons flying everywhere in the sky. Monsoon has arrived in Mumbai and I usually enjoy rains except when I am commuting for work and can't find a rickshaw!!! I am back from Bangkok and Oh Boy! Did I have an amazing time or what!!! Bangkok is one of those cities which is modern and still has an old city feel to it. Power cables run overhead just like in India and food stalls are lined up even in the poshest of areas. You see vendors selling fresh fruits and vegetables everywhere. This is going to be a long post because I have to tell you guys about all the amazing food that I had there. So please bear with me. Between, a little insight on shopping...just straight away head to Platinum Mall in Chit Lom..OMG! You will go crazy and have a breakdown if you are a shopaholic! ( I normally control myself and somehow did not lose it ) amazing stuff and freaking reasonable!!! My bhabhi has been brought up in Bangkok and is visiting her parents there so I joined her too. 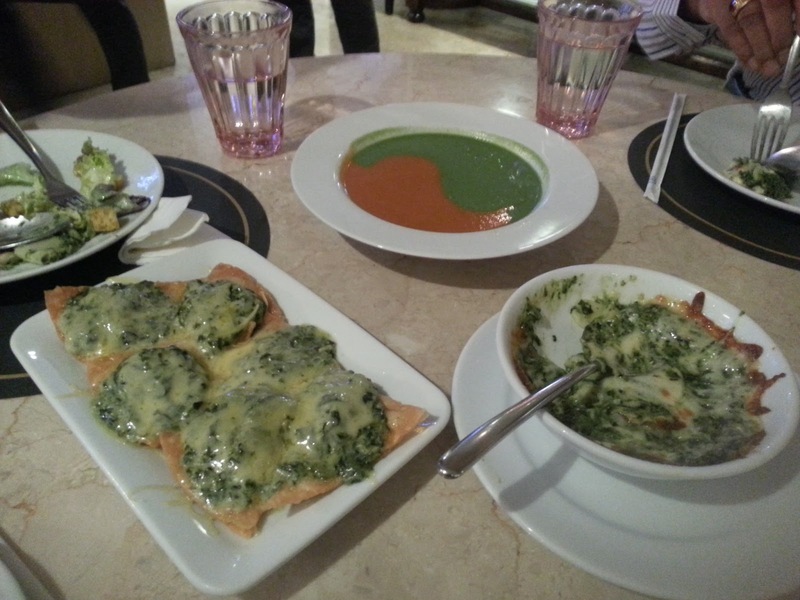 She took me to her favorite places which serve the most amazing vegetarian food. 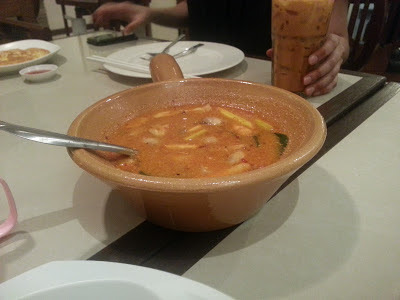 The day I arrived, we had Thai food at See Fah, Sumkhumvit Road. 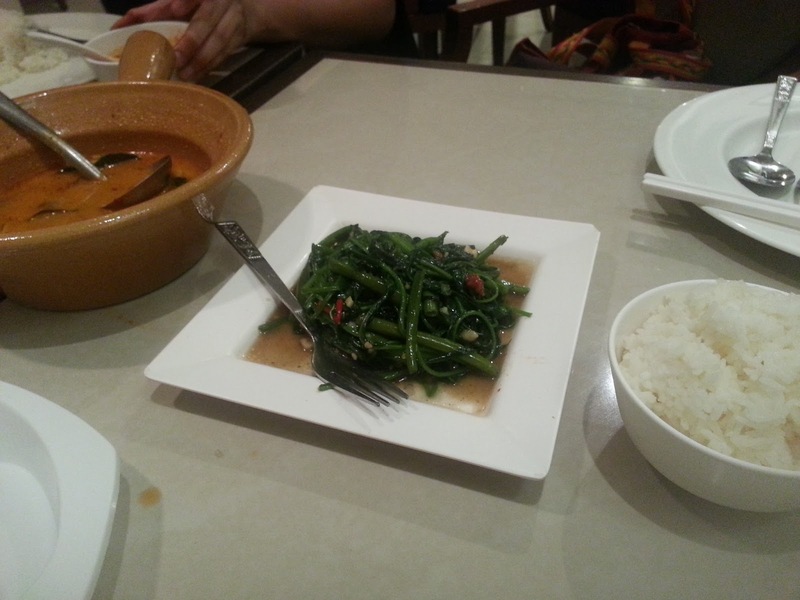 We ordered for Tom Yum soup, Stir Fried Morning Glory( Morning Glory is a vegetable) and some Tofu dish . All the dishes were simple and tasted beautiful in mouth. Do drop in at this place for the simplicity of it and reasonable prices. Thai people are always eating. Wherever you run your eyes, you see people carrying food in their hands. So keeping up the tradition, I ate a lot too ;) Bhabhi and me were always sipping on Pearl Iced Tea( Highlight of my trip!). 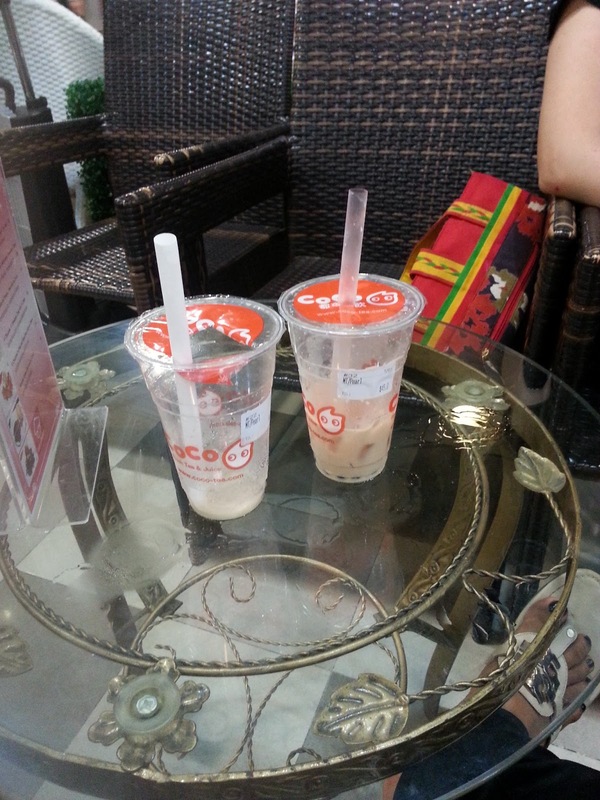 It is a cold milk tea with pearl shaped jelly in it! I am telling you guys, I have never had such an amazing drink..It is addictive!!! 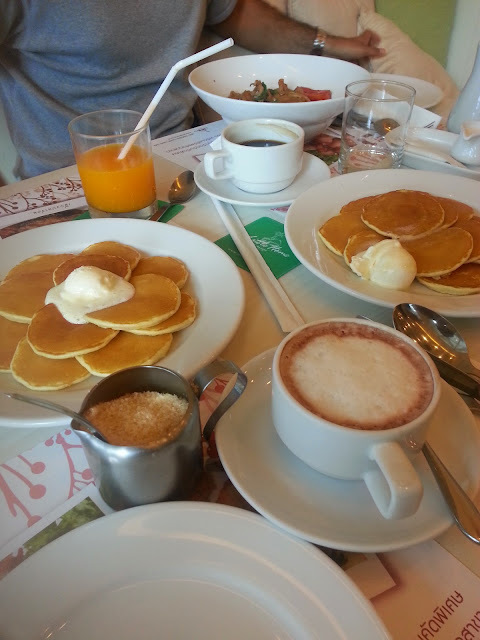 I had lot of pancakes and crepes too. 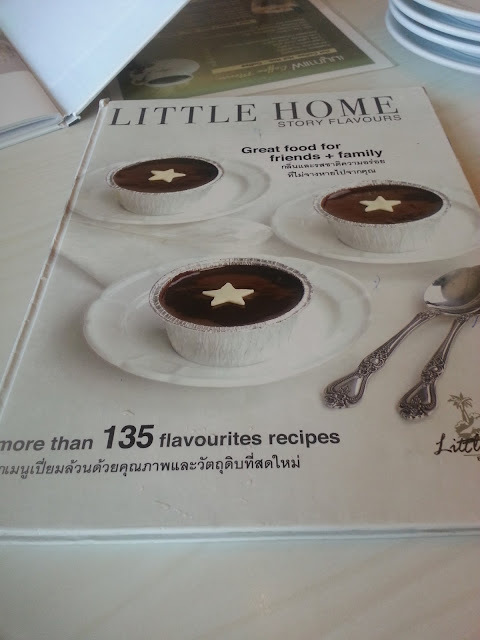 Little home is a Bakery which is very famous for its breakfast. 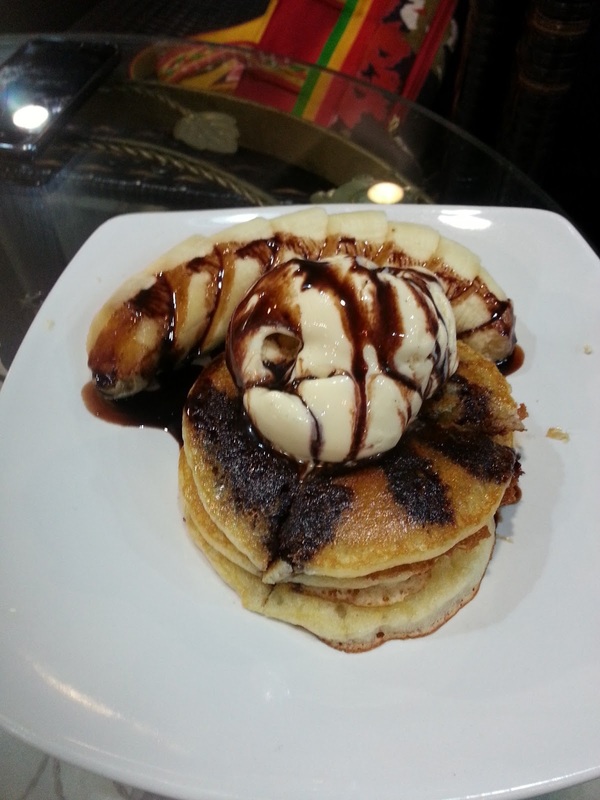 Pancakes I had there were out of the world. These pancakes are called Silver Dollar Pancakes and they sure are worth silver and gold and every precious thing that is there!!! 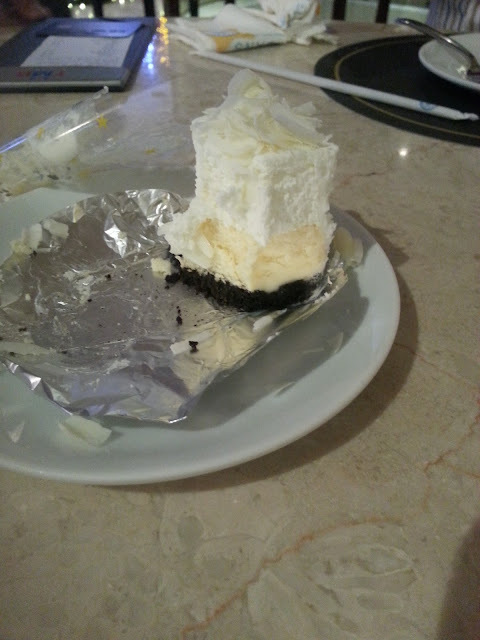 They make their own butter, its subtle and goes really well with the pancakes. Bhabhi's mother is an amazing cook and she always made delicious breakfast for us. One of the mornings, we were woken up to Thai food for breakfast. 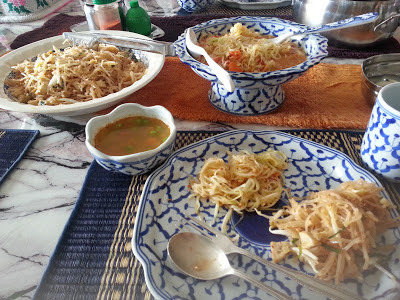 She made Raw Papaya Salad , Pad Thai and Tom Yum soup. I absolutely binged on all of it!! !